In a move to protect his finances in the wake of a lawsuit, 50 Cent has filed for Chapter 11 bankruptcy. 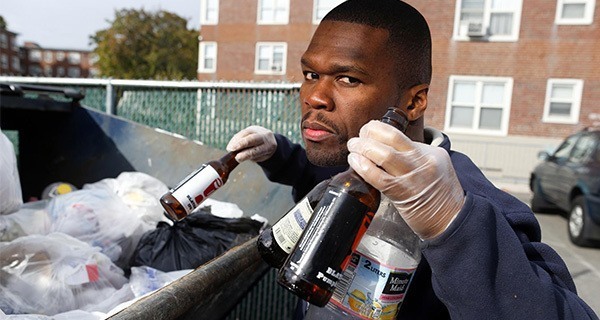 While the rapper, legally known as Curtis Jackson III, hasn’t shown any signs of changing his lavish lifestyle, he is being slightly thriftier about it by taking advantage of Connecticut’s Bottle Bill, which gives consumers back five-cent deposits for recycled beverage bottles. The 40-year-old recording artist reportedly dropped $17,000 on bottle service at Drai’s Beachclub in Las Vegas this weekend, but was was adamant about keeping all empty containers. Posternak also overheard Jackson asking friends to Venmo him for their share of the bill. Jackson reportedly left the club with 437 empty bottles. However, there was a slight snag in the plan: since Nevada doesn’t issue deposits for empty bottles, Jackson had no choice but to bring the bottles home to Connecticut. That morning, he loaded 33 completely full recycling bags onto his private jet. “Who’s bankrupt now?” he wrote in an Instagram post. Jackson was spotted the following day carrying a bag of nickels to his local bank.